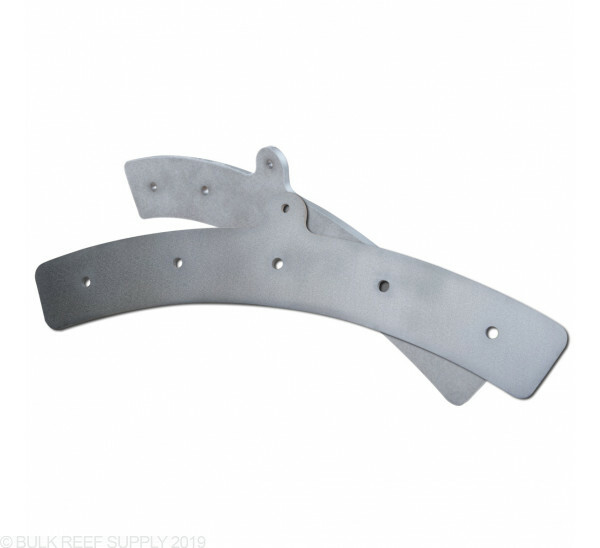 Suspend your XHO or Tech LED Lights from the Reef Brite 5 Hole LED Mounting Brackets. Each bracket system can hold up to 5 LED strips in an arc over your aquarium. Create your own LED fixture with Reef Brite's 5-hole mounting bracket system. Suspend up to 5 XHO or Tech LED lights of your choice. The brackets are shaped in an arc focusing a majority of the light into the tank and not out of it light most common lighting fixtures do, keeping light spilling to a minimum.